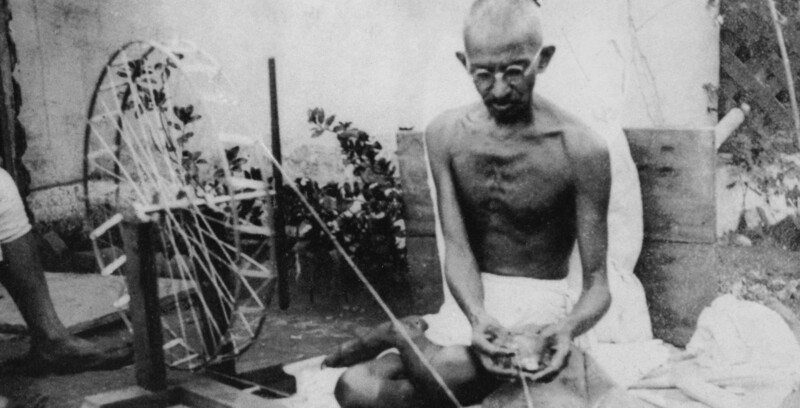 Gandhi was a strict vegetarian who advocated proper eating for the sole purpose of sustaining the body, and not to indulge in pleasure. Below is the excerpt of his view on food consumption. Control of the palate is very closely connected with the observance of brahmacharya (self discipline). Food has to be taken as we take medicine, that is, without thinking whether it is palatable or otherwise, and only in quantities limited to the needs of the body. Just as medicine taken in too small a dose does not take effect or the full effect, and as too large a does injures the system, so it is with food. It is a breach to take too much of what one finds to one's taste. Parents, out of false affection, give their children a variety of foods, ruin their constitution, and create in them artificial tastes. When they grow up, they have diseased bodies and perverted tastes. The evil consequences of this early indulgence dog us at every step; we waste much money and fall an easy prey to the medicine man. Most of us, instead of keeping the organs of sense under control, become their slaves. An experienced physician once observed that he had never seen a healthy man. The body is injured every time that one over-eats, and the injury can be partially repaired only by fasting. We must not be thinking of food all the twenty-four hours of the day. The only thing needful is perpetual vigilance, which will help us to find out very soon when we eat for self-indulgence, and when in order only to sustain the body. This being discovered, we must resolutely set our faces against mere indulgence. Gandhi observed these words about overindulgence almost eighty years ago.I wonder what he would have to say about the portions that are routinely served in restaurants today, not to mention the availability of unhealthy processed food. Looks like sticking to mindful eating, practising intermittent fasting and sticking to a predominantly paleo diet is a good way to achieve control over our palate.